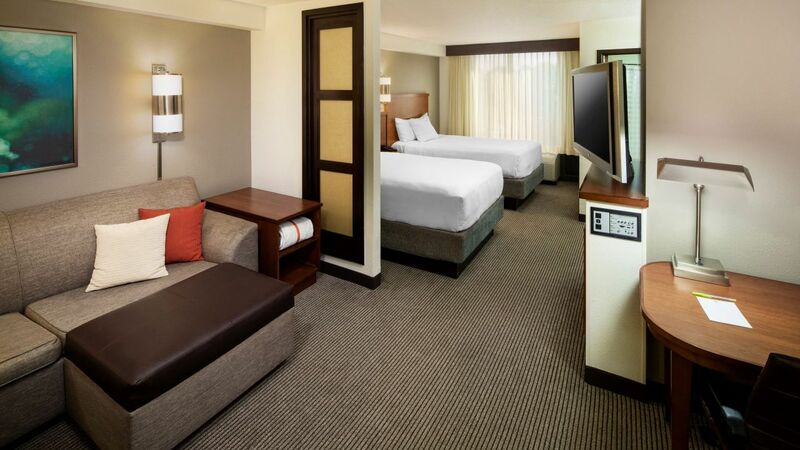 Wake up from a peaceful night of sleep to the sounds of your alarm clock radio in your cozy Topeka hotel room. Then uncurl from your king-bed for a hot cup of coffee. 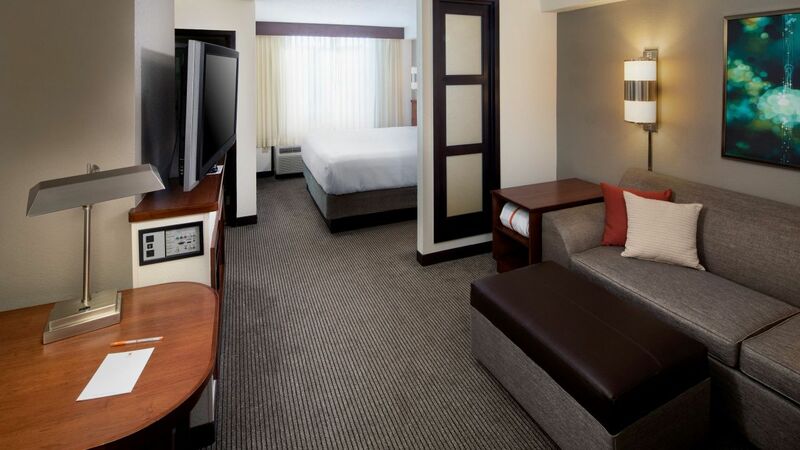 Simple but accessible, with common sense accommodations like a minibar, work desk, and swiveling 42” TV, rooms at Hyatt Place Topeka have just what you need. 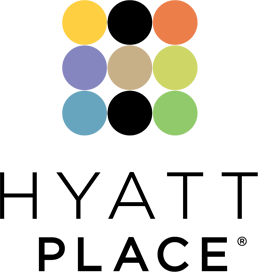 Tackle local activities after a quick bit of Topeka research on our free Wi-Fi. 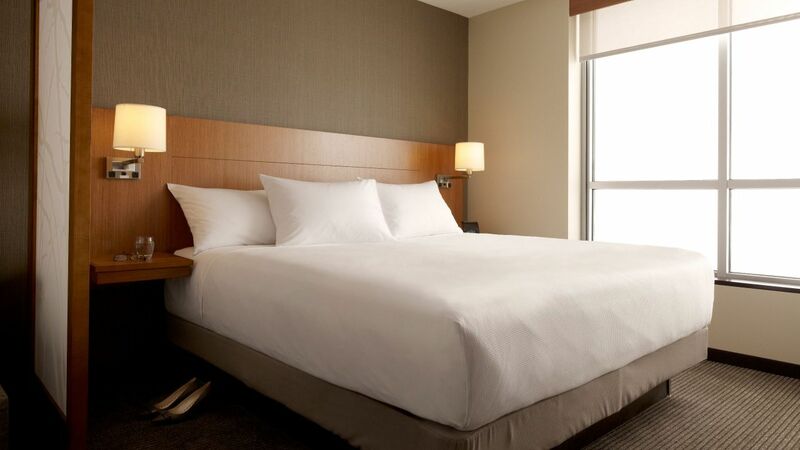 Spacious, crisp, and cozy, our King Bed room offers tasteful décor mindfully applied, with everything from a Hyatt Grand Bed™ and sofa-sleeper to a separate seating area and coffeemaker. Enjoy a sleeping option overload in our Two Double Beds room, featuring space-conscious furniture, a snug seating area, and a convenient sofa-sleeper hidden under the plush cushions. If you usually feel constricted and cramped in hotel rooms, our High Floor units are a great remedy. Spacious ceilings, oversized work desks, and a separate seating area are just the beginning. Set your sights high with this double bed High Floor. This cozy little spot isn’t exactly little, with a king-sized Hyatt Grand Bed™, sofa-sleeper, seating area, separate work desk, and minibar. 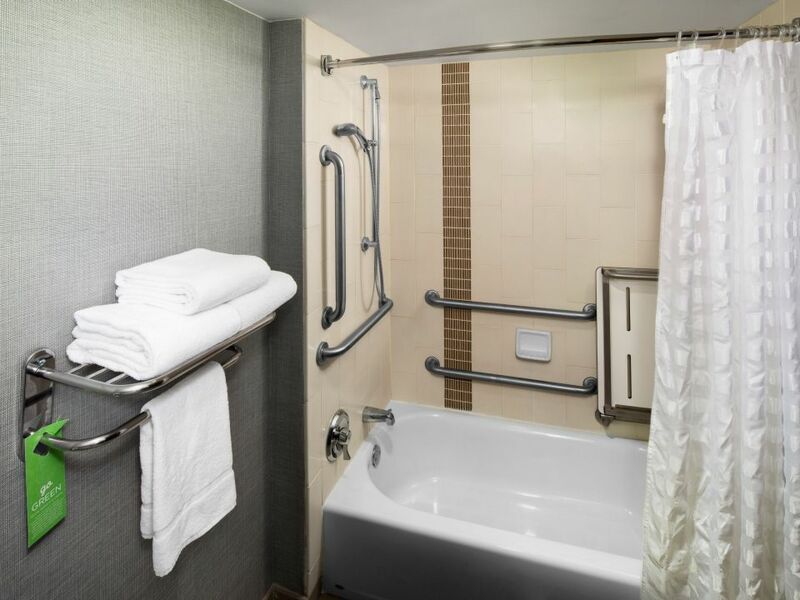 Both comfortable and convenient, the ADA amenities in this Accessible room allow you to kick off your shoes while feeling in control. Make the most of lowered wall features, CC TV, and a roll-in shower. Go about your day in the Accessible King Bed/Tub without basic room features getting in the way. Each unit offers ADA-compliant amenities, from a fire alarm system to a cordless phone and lowered bath features.